It looked so close, he felt he could almost touch it. On hot days, the water looked oh so refreshing. He could be on the shore in an hour if he wanted to. But this was his domain, up here on the mountainside, with only the snakes, chipmunks, and pheasants as company, and food when he could catch them. There were springs where he could drink but they were small, muddy trickles, fit only for a monster like himself. His mother’s words spun repeatedly through his mind: “You have a curse, my son. People would not accept you, if they saw you.” She had never shown him to anyone. Even his father, who was an officer in the army and was rarely home, had never known he had lived through childbirth. His mother had made him run and hide in the mountains whenever his father visited. Finally, when she had died of the fever, he had run to the mountains. He looked down at the water from the shelter of a rock that was cutting the scorching summer wind. He could go at night, but even then he would have to cross the road and there were always cars driving back and forth, as if guarding the lake from his cursed touch. Someday, perhaps he would risk it, if fear gave him a reprieve and unchained him even for a night. Someday. 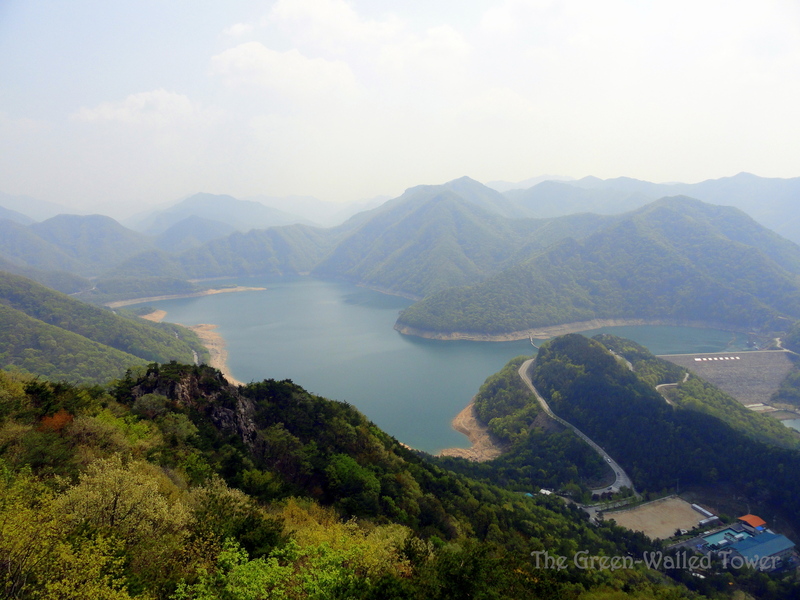 This entry was posted on Sunday, May 5th, 2013 at 1:26 pm	and tagged with fear, fiction, fisherman, flash fiction, Korea, lake, mountains, outcast, photograph, visual fiction and posted in Visual Fiction. You can follow any responses to this entry through the RSS 2.0 feed. love it!!!! really great imagery! Is this monster connected to the previous story on sacrifice..
That’s an intriguing idea, although I wasn’t thinking of it that way. I was thinking of this as just an ugly or deformed person. Thanks for the comment though. That’s what I like about sharing stories on my blog: people give me feedback in ways I never thought about before. Sad for the person that hides in the mountains and lives in the wild with the other wild creatures. Reminds me a an old movie from a long time ago, about a poor, disfigured young man called, ‘Elephant Man,’ I think it was, staring Cher, and I think nominated for an oscar. Did you ever see it? it was terrible sad, but realistic of life lived with such a deformity and behind a mask. That might have been the name too, maybe. Mask. Not sure. I’ve heard of that movie, although I’ve never seen it. It would be terrible to live in that sort of mindset, imprisoned by a physical deformity and also by the fear of what others will think or do. I like this. It begs for more. I was to know more about the monster. This is definitely just a snippet of a story. It could be expanded a lot more. Maybe I’ll do more with it later. Brought back memories of John Hurt starring in Elephant Man – based on a true story, if I recall. Your character is even more pathetic – he is alone and living in the ‘wild’. There is much potential here for a continuation – the classic princess and the frog theme, perhaps. amazing one david. touches the heart deeply.